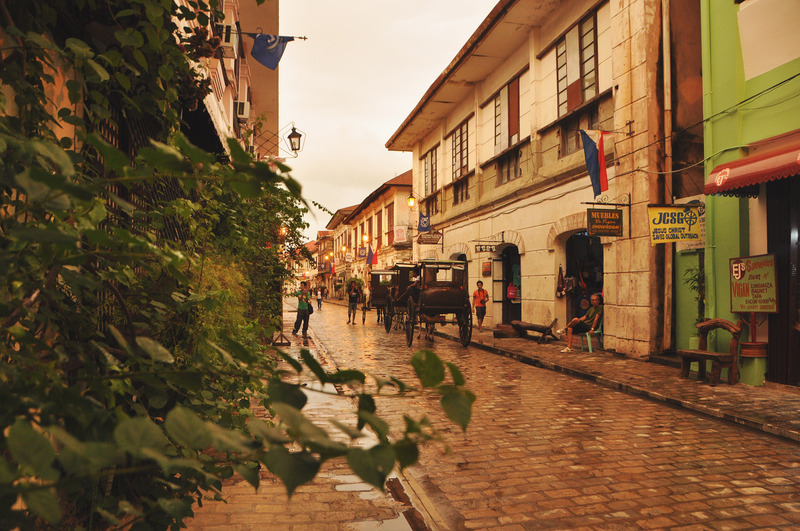 Vigan has a story that is as lovely and romantic as its cobblestone streets, horse-drawn carriages, and colonial houses. On my third visit, one of the hotel owners had shared it with us, and it made me love the city even more. 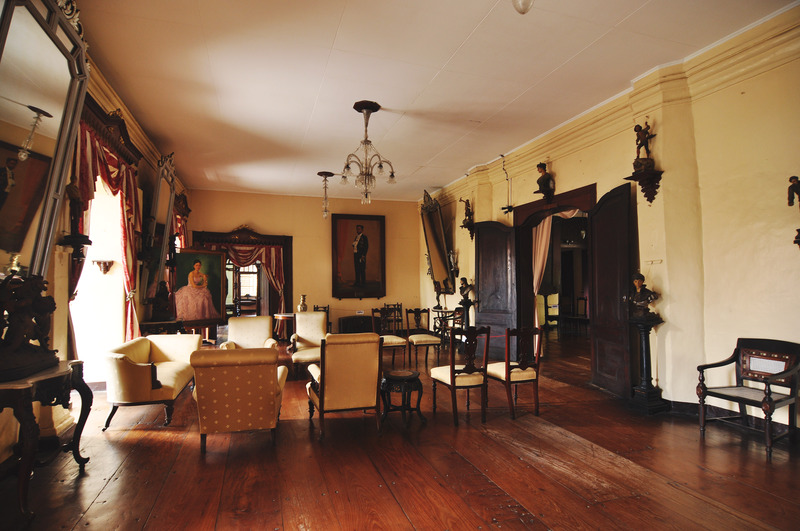 My friends and I were at the top floor in the hotel’s dining area, a spacious room with wide windows that overlooked Calle Crisologo and let streams of sunlight in. 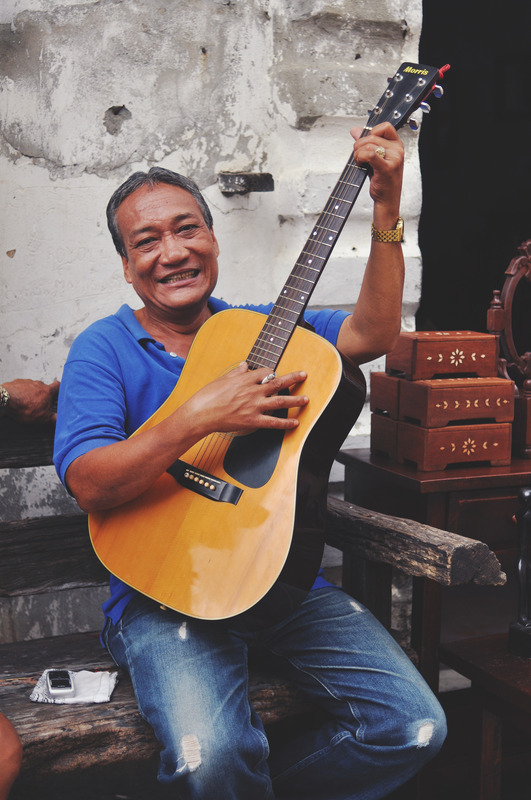 The owner, a short-haired woman with a gracious smile, sat with us to talk while we had our fill of Vigan longganisa, sunny-side up eggs, and garlic rice. 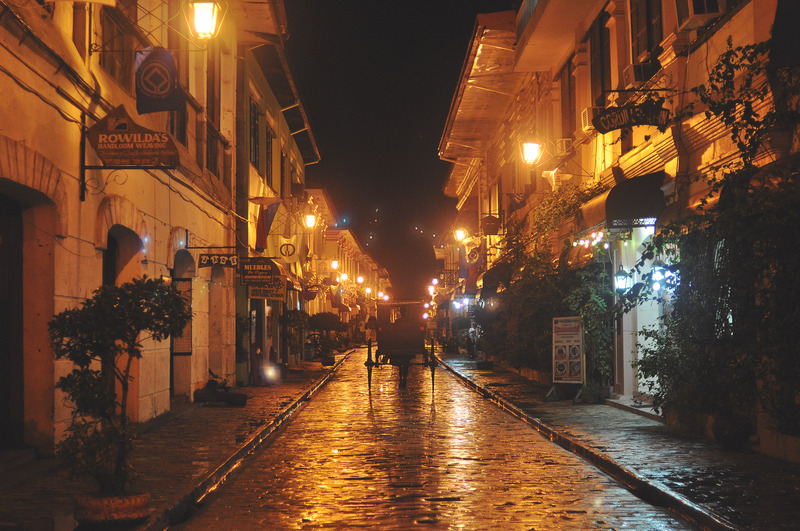 When our conversation turned to Calle Crisologo, her voice took on the tone of someone about to divulge a juicy piece of gossip. 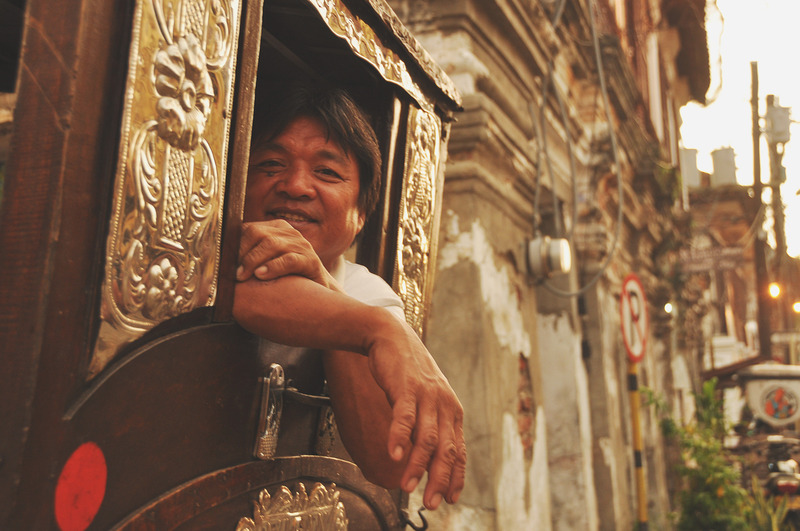 She leaned in and told us about a love story that was popular among the locals. What struck me was how beautiful she looked at any time of the day, under any kind of weather. 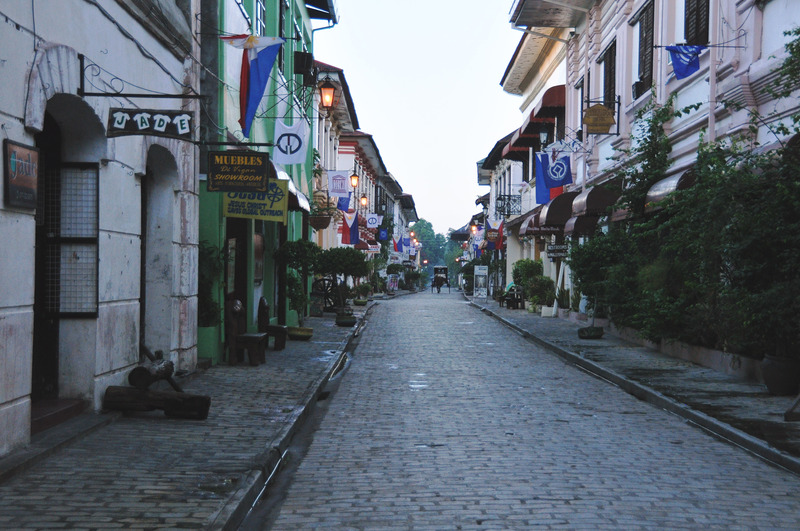 I walked along the quiet streets at dawn and felt myself transported to a different time. 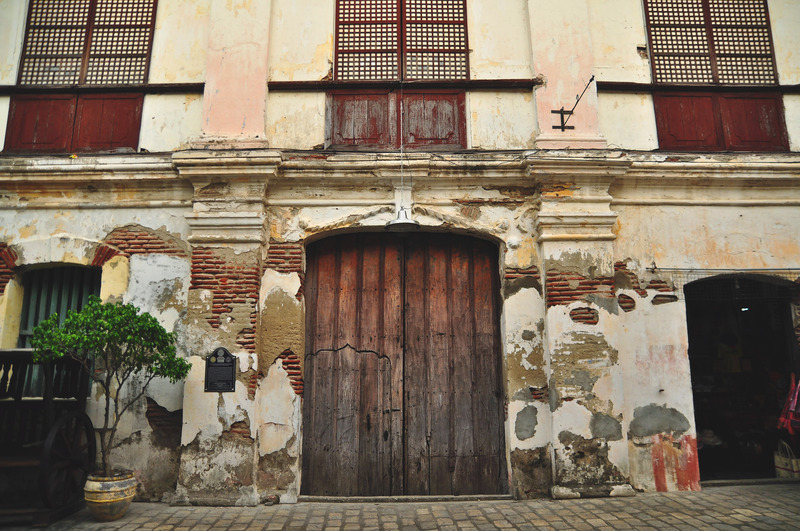 The sunlight would creep in, brushing gently against roofs and walls, illuminating cracks and exposed brick which added to the charm of the place. 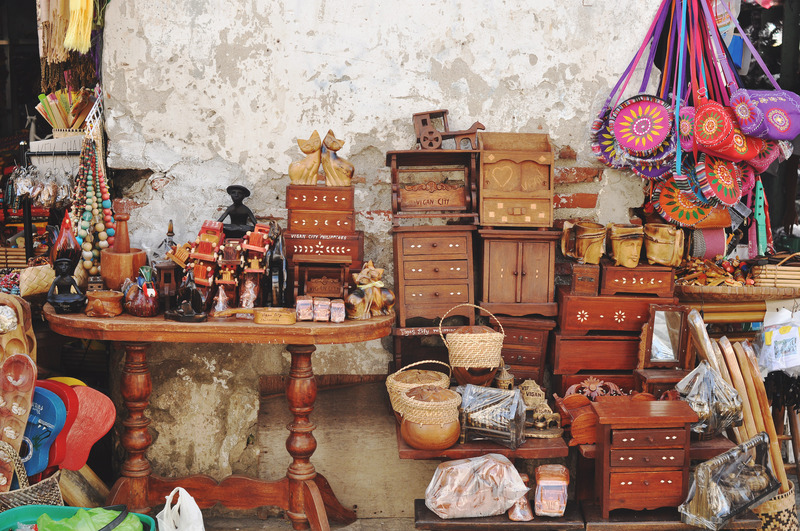 At noon, it would be hot and humid, but the streets would be brimming with activity as people hopped from one colorfully decorated store to another, some munching on crunchy orange snacks famously known as Ilocos empanada. 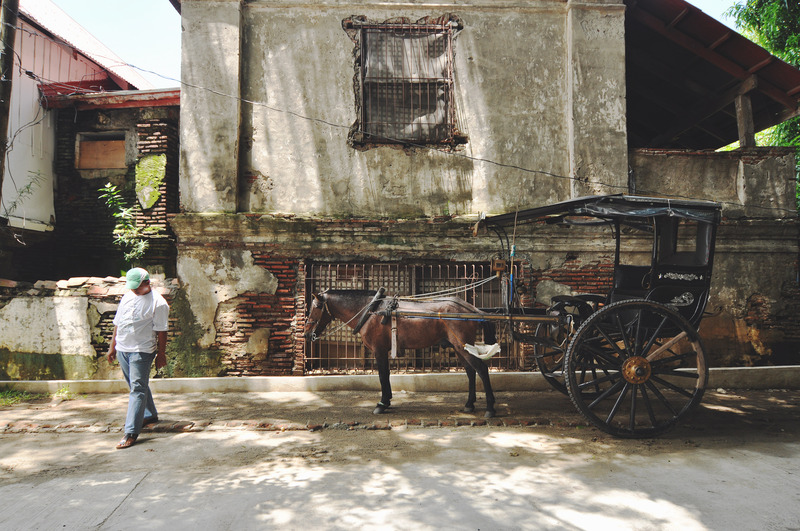 If the heat became too unbearable, a kalesa would be at your side in a heartbeat and would whisk you away, down the road, past museums and churches, and towards craftsmen who’d let you mold your own version of the burnay jar, which always looked lopsided and awkward next to their works of art. 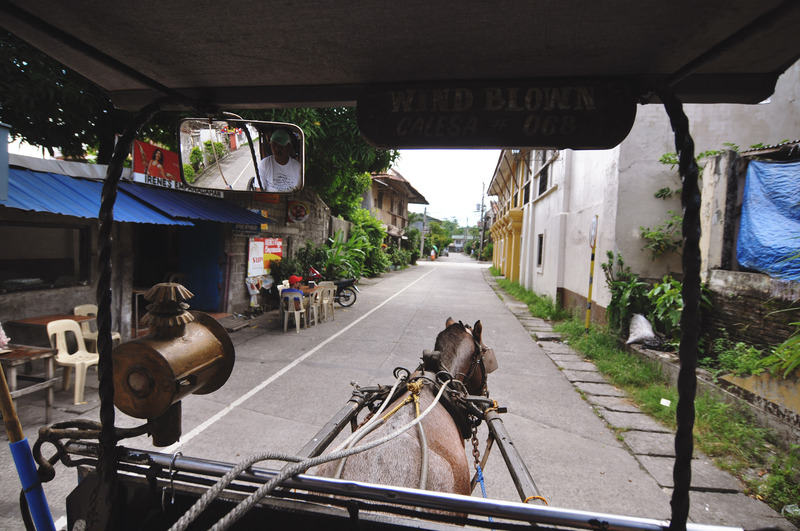 At dusk, everything would take on a golden hue: the cobblestone streets, the capiz windows, the wooden doors, the hanging ornaments, the kalesas, and even the smiling faces of its drivers. And at night, everything would be still and quiet, the streets emptied of the chattering crowds and clanking hooves. 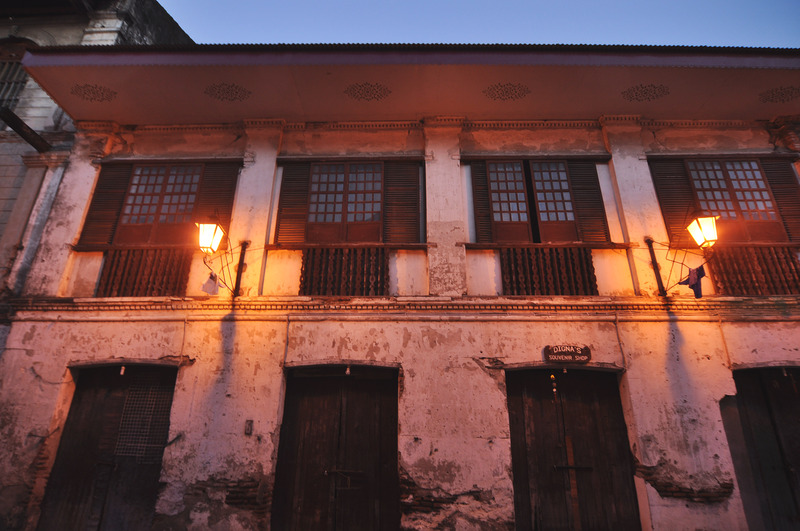 You’d expect that it would turn into something like a ghost town with its antiquated houses and deep, dark windows. 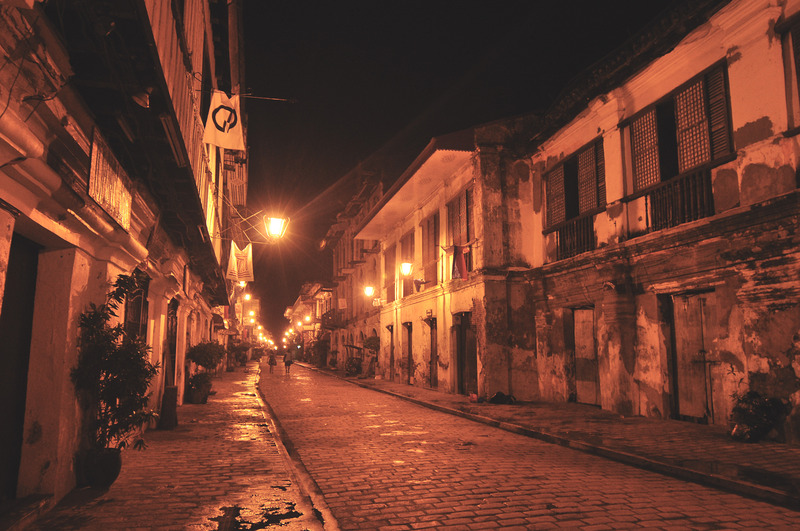 But the streets welcome you like an old friend, and the lamps glow fiercely, lending its orange light to those who want to wander under the night sky and relive a small piece of history. 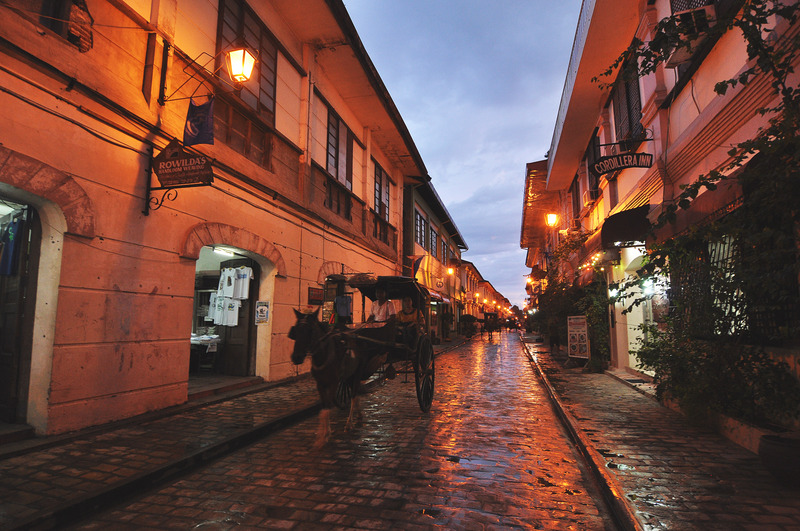 Vigan has just been shortlisted for the New7Wonders Cities of the World! 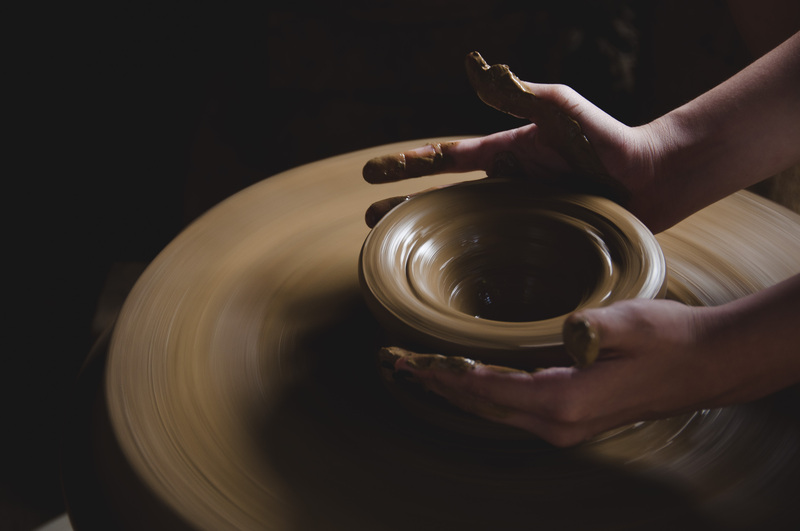 Show your support by voting for this lovely city here: www.n7w.com/cities/en. 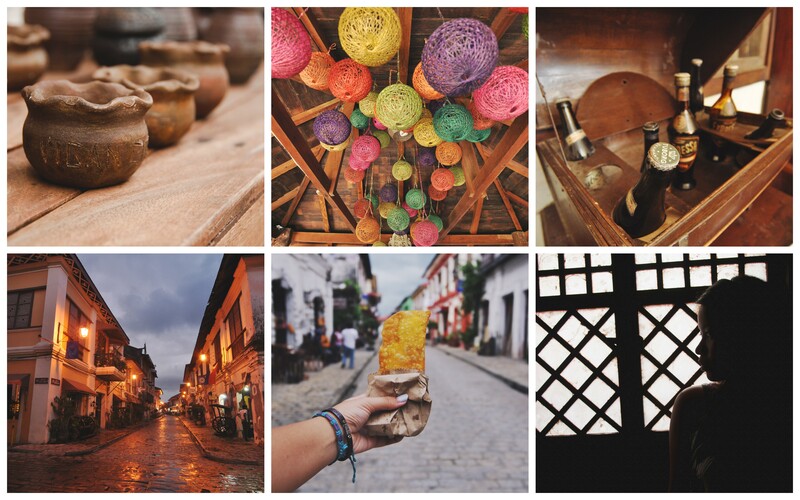 Been planning on visiting Vigan on my next trip to the Philippines, hopefully 2015.